Francois Ozon, whose latest film, “Double Lover,” competed at the Cannes Film Festival last year, is now making “By the Grace of God,” a drama looking The Scythian at a real-life case of sexual abuses allegedly committed by a French priest in the late 1980s. “By the Grace of God” is produced by Mandarin Production, in co-production with Playtime, which is also handling international sales. Mars Films will distribute The Guardian Angel the movie in France on Feb. 20. A world premiere at the Berlin Film Festival is likely. 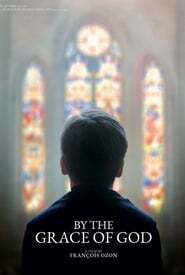 Now in post-production, the film is inspired by the scandal surrounding Bernard Preynat, a Roman Catholic priest who was accused of having abused scouts The Vice of Hope from 1986 to 1991, and was only recently indicted after several victims decided to file lawsuits.